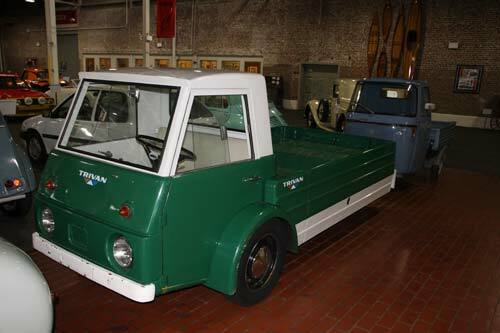 The first Trivan rolled off the assembly line in Frackville, PA on March 14th, 1963, to much hoopla. Governor Scranton drove Trivan #1 off the line, and the promise of revitalizing the area around Schuykill was about to be realized – but only for a short time. The area was nicknamed “Little Detroit”, and 1000 Trivans a month were expected to be produced from the $2M plant. Unfortunately, orders expected from the US military, the postal service, and International Harvester were unexpectedly pulled after production began, leaving the factory with a product that seemingly no one wanted. The Trivan was the brainchild of Harry Payne, credited with ‘inventing’ the Jeep for the US Army. 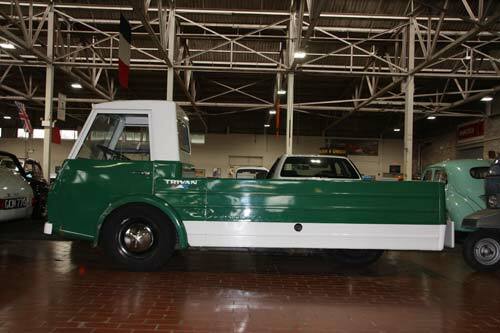 Payne held powerful influence with the military, and the Trivan made a public appearance at the 1963 Army-Navy game. Using common domestic components, service was remarkably easy, and both military and commercial uses were anticipated. The Trivan promised ‘unlimited versatility’, but it fell far short in reality. 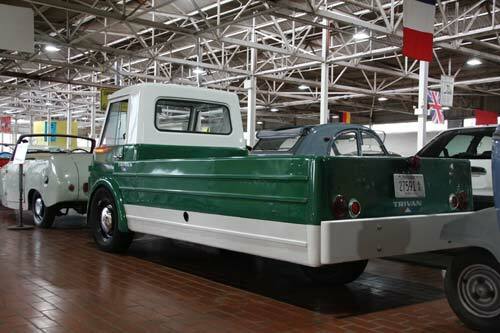 Its three wheel configuration was supposed to offer a very short turning radius, while maintaining the stability and traction of a half-ton truck. The reality was, it wasn’t very stable, and the single rear wheel did not have enough traction for off-road hill climbing. On top of these shortcomings, the Trivan was pretty slow. This is Trivan #98 (out of only 112 made). Walter Baran bought it for pennies on the dollar at the 1964 liquidation sale of Trivan. He donated it to his church for a $1 auction. Dr. Louis Visot bought a single ticket and won, and used the Trivan for a very short time, moving his household from one home to the next. It was put away for over 20 years, with 337 original miles on it. Bill Feidler then bought it, cleaned it up, and drove it to some shows – he and friend Debbie Strunk already had a red Trivan, so #98 ended up here, a fitting new home. The odometer shows 422 miles as of this writing.